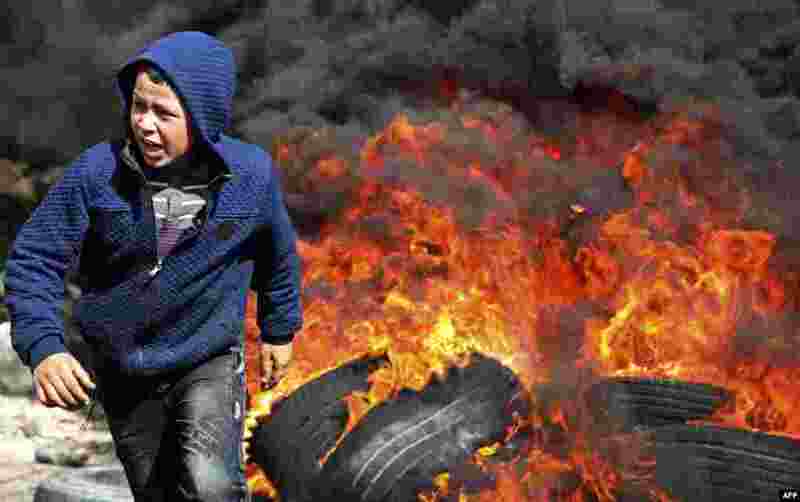 1 A Palestinian boy runs away from flaming tires during a weekly demonstration against the expropriation of Palestinian land by Israel, in the village of Kfar Qaddum, near Nablus in the occupied West Bank. 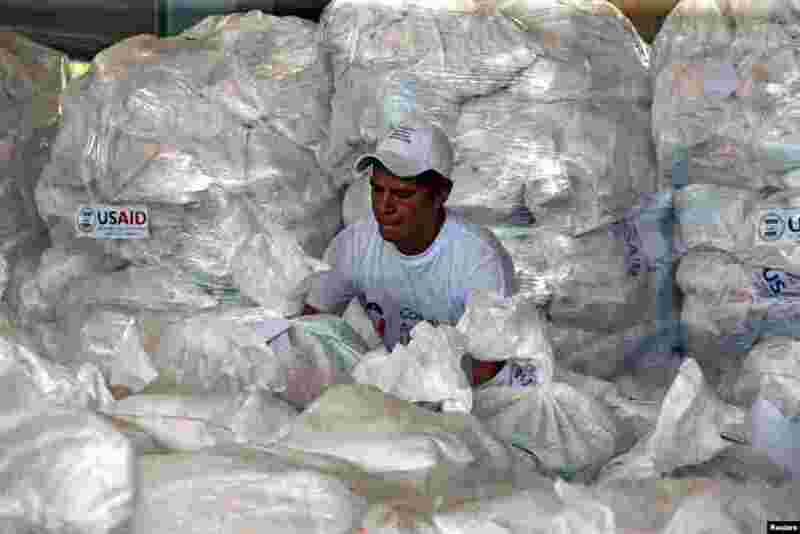 2 A worker organizes humanitarian aid for Venezuela at a warehouse near the Tienditas cross-border bridge between Colombia and Venezuela, in Cucuta, Colombia. 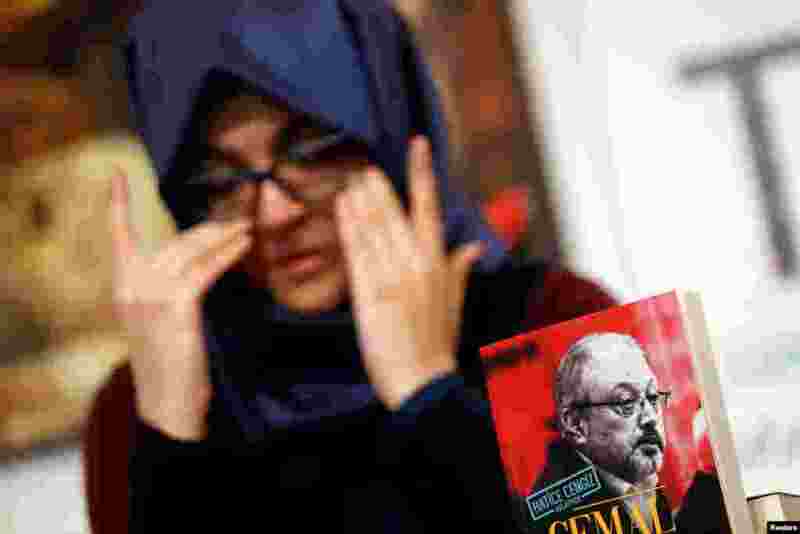 3 Hatice Cengiz, Turkish fiancee of slain Saudi journalist Jamal Khashoggi, attends a news conference to present a book on the slain journalist, in Istanbul, Turkey. 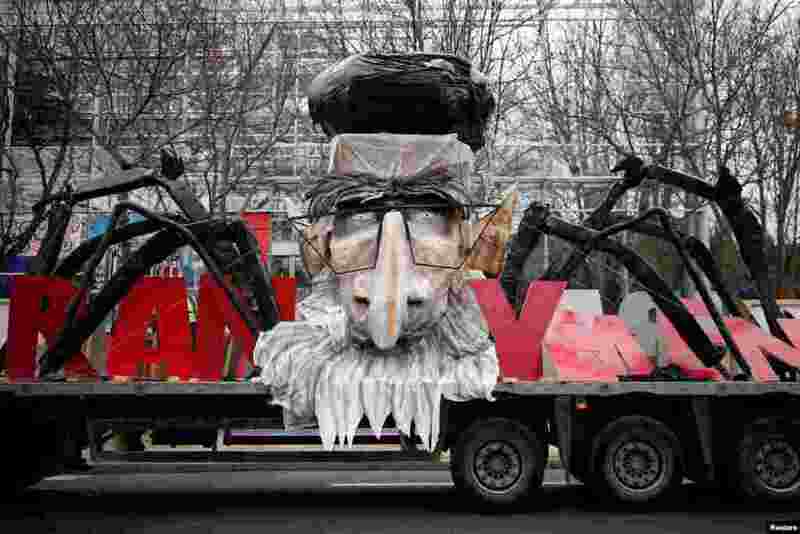 4 A truck with the likeness of Iran's late leader Ayatollah Ruhollah Khomeini is pictured as thousands of Iranian opponents in exile protest against the Teheran regime, days before the 40th anniversary of the Iranian Islamic Revolution, in Paris, France.